The Indian Defense Ministry announced on Tuesday that it had successfully tested an intermediate range surface-to-surface ballistic missile capable of carrying nuclear warheads. 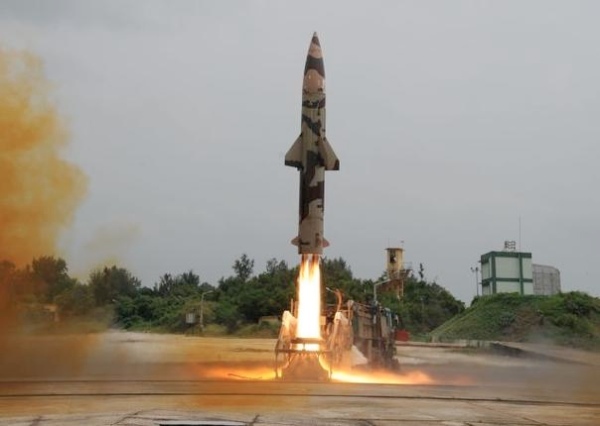 The 20-meter long Agni-II, which weighs 17 tons and can carry a payload of 1,000 kilograms over 2,000 kilometers, plays a central role in India’s nuclear deterrence and defense systems. Designed and first tested in 1999, the Agni-II is already part of the armed services retinue of weaponry. It was launched from the Abdul Kalam Island off coast of the south-western Indian state of Odisha on the Bay of Bengal. Tuesday’s launch is the third nuclear-capable ballistic missile launch since February 6 when the Agni-I short-range rocket was successfully tested. On February 7, India’s Strategic Forces Command successfully tested the Prithvi-II tactical surface-to-surface short-range ballistic missile. All three are part of India’s deterrence operations.